Text and photo: Mami Goda, El boliche de Roberto has been loved by Buenos Aires’ porteño people. 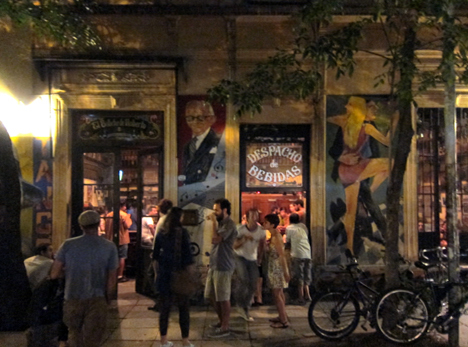 Previously, the bar was called “12 de Octubre,” which is the day when the Almagro Plaza neighborhood was created. El boliche de Roberto offers a Tango totally different from the so-called Tango shows which tourists are used to thinking of. Young people as well as old people come to listen to the cantante (singer)’s living Tango. The cantante performs songs to a guitar which carries the melody. The way that each singer sings is so very intense and convincing that sometimes it seems they are talking directly to our hearts. This small space is always packed with people and sometimes spills out to the road. 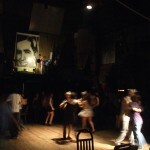 Once the tango time begins, the entire bar, which is normally bustling, falls into a total silence. Everybody stares at the singer and concentrates on listening to the words sung. They have several Tango times during each night, the first one of which starts around 11:00 pm. In general people enjoy popular drinks such as beer, wine and Fernet (herbal liqueur). 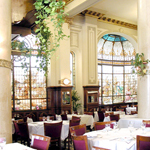 The bar is decorated with many antique bottles. As typified by Aldi Ariel, many Tango singers started their career in this place. The Tango of 80-year-old cantante Osvaldo Peredo still appeals to the audience, which makes us feel his aged dignity and melancholy. He is the star of this bar. He was and is always loved by young and old people, men and women coming from whole world.